Trooper E.C. 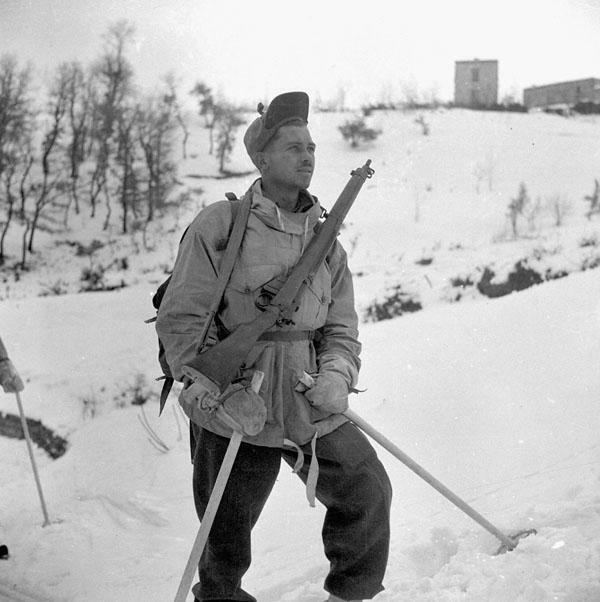 Taciun, Ontario Regiment, a member of the ski party that carried food and medical supplies to stranded British troops of the 36th Reconnaissance Regiment (British Army). Tornareccio, Italy, February 15th 1944.